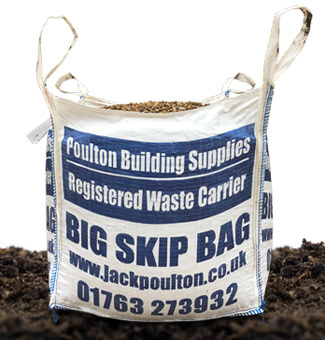 The Big Skip Bag is a strong single use bag designed for removing up to 1 tonne of building, garden and DIY waste materials. The Big Skip Bag is a low cost and flexible alternative to conventional waste disposal or skip hire. We also remove HIPPOBAG MIDIBAG, MEGABAG and HIPPOSKIP bags. Jack Poulton & Sons does not supply HIPPO bags, but are happy to collect your HIPPOBAG MIDIBAG and HIPPOSKIP bags from you.